Balancing rustic wood tones with modern lines, this bedside chest makes for a stylish bedside companion. The nightstand offers two drawers for storage, accented by sleek bar pull hardware. 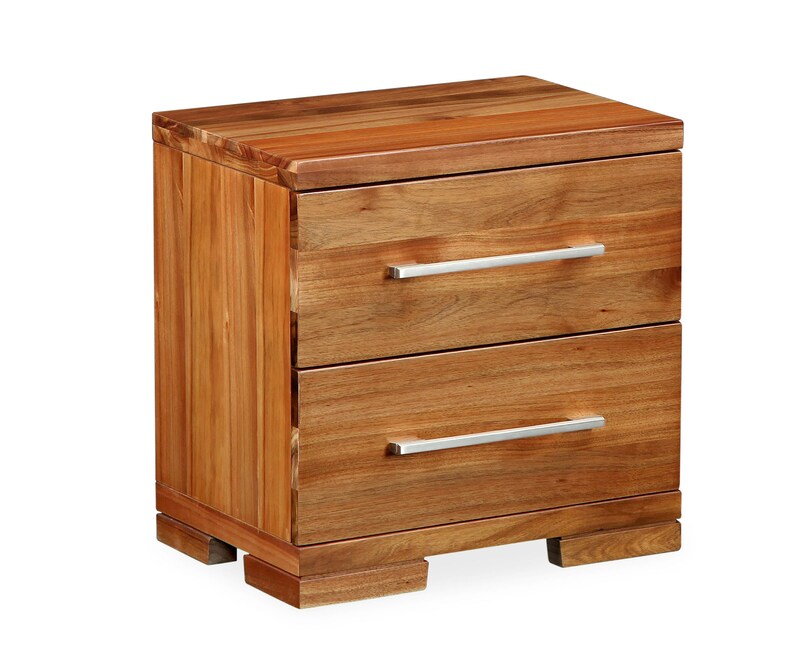 The Clifton Bedside Chest by Global Home at HomeWorld Furniture in the Hawaii, Oahu, Hilo, Kona, Maui area. Product availability may vary. Contact us for the most current availability on this product.